Everyone's always looking for ways to make extra money, whether it's picking up a part-time job or praying for a winning lottery ticket. Have you thought about looking for the money that's already in your pocket? Your current earnings can go farther than you think. 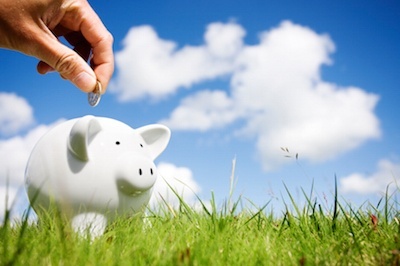 We've compiled a list of the best savings tips to help you make more money without leaving your Springs Apartments home. You've heard this one before, and it's still the best way to prevent impulse spending as well as compounding those bills with interest charges. Keep one on hand for emergency purposes, but shred the rest. Remember those times when you made a purchase only to kick yourself just days later when you saw it for a cheaper price? The Internet has made it easier than ever to comparison shop. Sometimes you can even find a better price from an online source, with little or no shipping charges. 3. Understand The Difference Between "Need" And "Want"
The age of consumerism has convinced us that everything on our wish list is a need. Personal finance expert Suze Orman recommends that you ask yourself before every purchase whether it's a need or a want. Honest answers to that question will save you a lot of money. 4. Have Regular Spending "Time-Outs"
Designate one or two days each week as "no spending" days. Limit your expenditures to essentials like bus fare or gas for your car. Otherwise, don't buy so much as a newspaper or cup of coffee. Eventually you'll find yourself getting in the habit of "trimming the fat." Are you addicted to eBay and other online auction sites? Instead of congratulating yourself on those great buys, think about all the money that's leaving your bank account and heading to another. Assemble those items that you've never used or ones that are still in good shape but you're ready to part with them. Put them up for sale and let the money come to you. Eating out is fun and convenient, but in the end it's money gone that you have nothing to show for. Even fast food is no longer inexpensive, especially compared to the cost of cooking at home. Don't have time? The Internet has plenty of sources for quick and nutritious meals. Shopping for a gift can be stressful and expensive. Why not give the gift of your time instead? Present your sister with a card good for one evening of babysitting, or volunteer for pet care during your best friend's next vacation. As a bonus, you'll find that these gifts mean even more to the recipients. What's your best method for finding those hidden dollars? Share it with us in the comments!